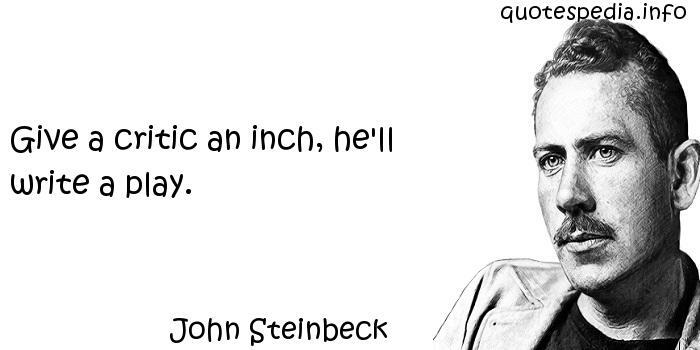 Give a critic an inch, he'll write a play. A fool's brain digests philosophy into folly, science into superstition, and art into pedantry. Hence University education. Never ascribe to malice that which is adequately explained by incompetence. Where the Mind is biggest, the Heart, the Senses, Magnanimity, Charity, Tolerance, Kindliness, and the rest of them scarcely have room to breathe. Cowardice... is almost always simply a lack of ability to suspend functioning of the imagination.